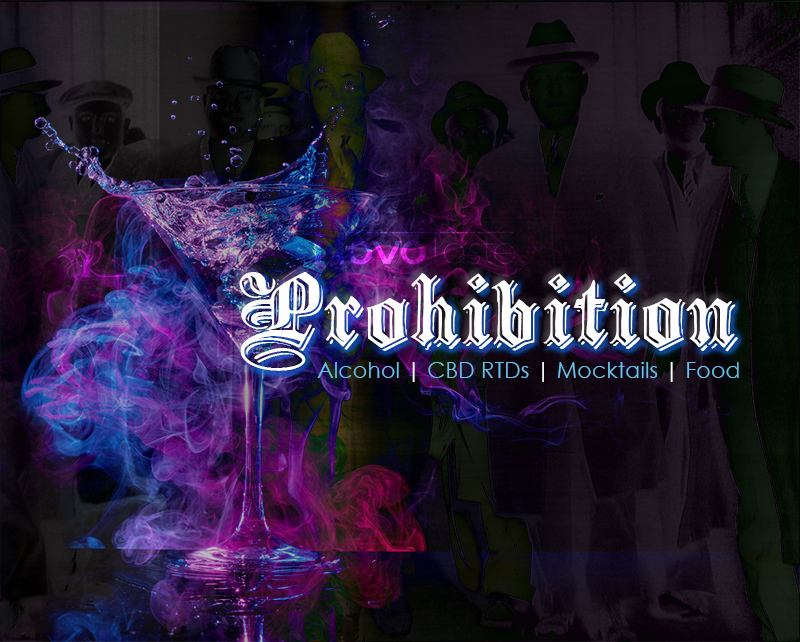 That’s right, the Prohibition Era is back and it is just getting started. Market trends are clearly indicating that both boomer and millennial consumers are not only accepting the resurgence of old fashioned prohibition-era cocktails, they are embracing it and are looking for unique twists and variations. Top restaurant scenes throughout North America have expanded their libation offerings and skilled bartenders are not only adding their personal touches, they are taking cocktails and mocktails to new heights. Flavours from various types of alcohols & cocktails are also increasingly being incorporated into a variety of applications, such as sauces/marinades, salad dressings, chocolates, confections, coffee/tea, edible fragrances, baking & even dairy ! Regardless of the decrease in alcohol consumption within the general population in recent years, the incorporation of alcohol flavour profiles in premium food and beverages is significantly increasing. What does this mean for the North American Food & Beverage industry and how does it translate to consumers ? The answer is very simple: new and exciting opportunities for product launches which are targeted towards various consumers within a large demographic spectrum. The Mockatil industry has picked up the momentum due to the recent explosion of cocktails in the bar and restaurant scenes, as well as RTD cocktails. While mocktails and cocktails are riding the wave of growth side by side, our opinion is that the mocktail industry has much larger potential for growth. Non-alcoholic wine and beer have flooded the North American marketplace in order to address consumers’ healthier choices. However, our opinion is that RTD mocktail beverages have barely scratched the surface of the current opportunity which exists. Novotaste has not only formulated innovative flavour solutions that emulate alcohol, but we have also formulated a wide variety of authentic-tasting RTD cocktails. Some of our most popular include: whiskey sour, whiskey negroni, campari soda, campari O.J., pina colada, rum & coke, gin & tonic & gimlet. With cannabis being legalized in certain parts of the USA and all of Canada, there will be many opportunities to formulate great tasting & popular CBD beverages. 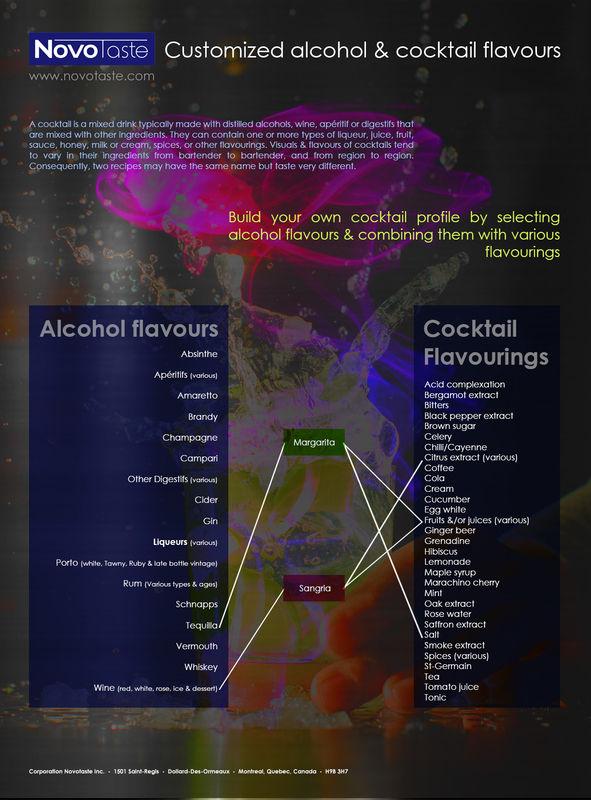 Novotaste’s cocktail and mocktail flavour systems can easily be customized and incorporated in most applications.